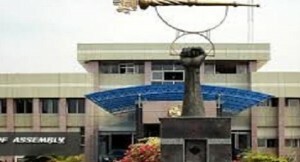 The Speaker and Deputy Speaker of the Edo State House of Assembly have been impeached. Both men were removed on Tuesday. The former Speaker of the House, Honourable Victor Edoror and his Deputy were accused of incompetence and high-handedness. It is a 24-member Assembly and the two principal officers were impeached by 15 members. A new speaker Mrs Elizabeth Ativie was elected after their impeachment as replacement. After his purported impeachment, Mr Edoror said the House members had met without his consent, insisting he was the only one that has the power to convene the plenary. “I was not there when they started. Can you start a sitting without me. “They never put an allegation before me. I have not heard from them and I think they are frivolous allegations if they are so started,” he said.